Sunderland RCA manager Martin Swales admitted that his side are doing things the hard way in their FA Vase run. The Meadow Park club were handed a home tie against Northern League Division One rivals West Auckland Town in Monday’s fourth round draw. 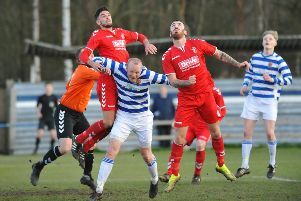 RCA have already seen off Bridlington Town, Garstang and Shildon to reach the last 32 of the competition and they would move within three wins of becoming Wearside’s first-ever Vase finalists if they can overcome Gary Forrest’s side. Saturday’s 3-2 win over Shildon came in dramatic fashion as Kyle Davis’ injury-time goal helped RCA to a first win over the Railwaymen since September 2012. That set up the tie against two-time finalists West Auckland and Swales believes that they present the toughest possible opposition for his side. 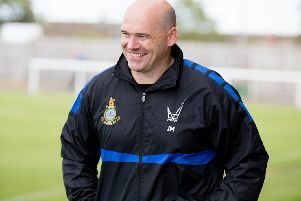 He told the Echo: “I was looking at the odds and Hebburn, West and ourselves are the favourites. “It’s the toughest possible draw, other than being away, but they won’t be relishing coming to us either. “Knowing them well can be a good thing and a bad thing, they have the best squad in our league in my opinion, but we have already beaten them this season when we won 2-1 at their place. “You still do your homework and we will continue to do that. “I will go and watch them and I will take other people’s opinion on them as well. “The win against Shildon on Saturday was massive for us and after the final whistle I started thinking it could be our year. “We’ve had a hard run so far beating Bridlington, Garstang and Shildon and now we have West. “It hasn’t been easy, and to be honest we have had easier draws in previous years, but this time it’s tough and we are really having to work to go far in the competition. Hebburn Town’s reward for their win at last season’s beaten finalists Stockton Town is a home tie against Midland League Premier Division club Shepshed Dynamo. The Northern League’s fourth club in the draw are Newcastle Benfield and they were pulled out of the velvet bag alongside Northwich Victoria. That tie sees Benfield striker Paul Brayson face the club where he scored 42 goals in 108 games during a three-year stay in Cheshire between 2004 and 2007. The fourth round will take place on the weekend of Saturday 5th January, with £1,875 on offer for the winners of each tie.